"This is my little muscle man, Chaos. He is 3 months old and a well-balanced little dude. He loves to spend his time playing with my other dog and it sure tires him out. His cute little quirk is that he completely lies down to eat. Talk about saving energy :) He's a great addition to the family and I can't wait to show him the ropes so he can grow up to be a great breed advocate!" 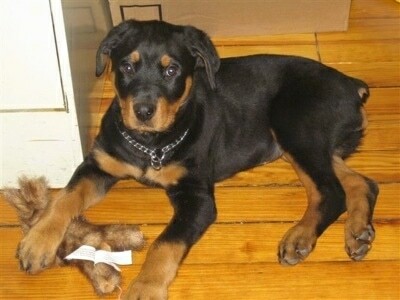 "This is my Rottie Sasha Bear. 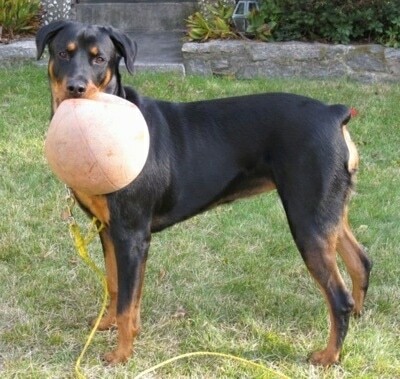 She is 20 months old in this picture and weighs 115 lbs. She's the biggest mush you'd ever meet, but seems ferocious when a stranger comes to the door. 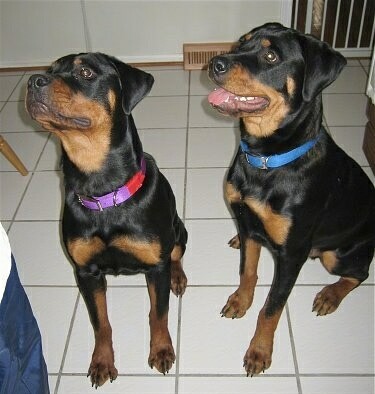 She's a lot taller than most Rottweilers; she resembles a small horse. She loves to go hiking, play with her rubber toys, and follow the family cat around the house. She is VERY obedient and stays at my side on walks. 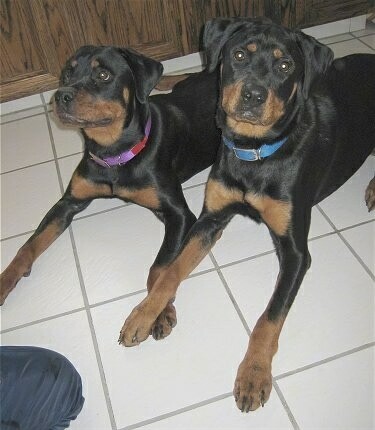 She gets along very well with other dogs and she is calm and submissive around them. She is also very playful. Everyone told me I was crazy to get a Rottweiler, because of their bad reputation, but to me she's the best dog in the world! She's a gentle giant. It took a lot of hard work and patience to train her, but it makes all the difference in the long run." 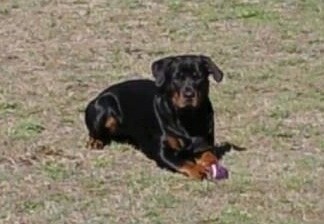 "This is my 22-month-old Rott Mya. She is the best dog ever. We watch the Dog Whisperer all the time and have learned how to handle Mya. She is very strong and used to pull us, but using some of Caesar's advice she now walks beside us or behind us. She knows who the alpha lead is and does so well being led."